Direct Benefit Transfer for LPG ( DBTL ) Scheme - How to Join DBTL ? In June 2013, during the reign of UPA government lead by Mr Manmohan Singh, then minister of Petroleum & Natural Gas, M Veerappa Moily had launched a scheme called Direct Benefit Transfer for LPG (DBTL) Scheme in various Aadhaar covered districts across India. According to this scheme, the Domestic LPG consumer should pay the full amount of LPG cylinder during the purchase and later the subsidy on LPG cylinders will be credited directly to consumers' Aadhaar-linked bank accounts. 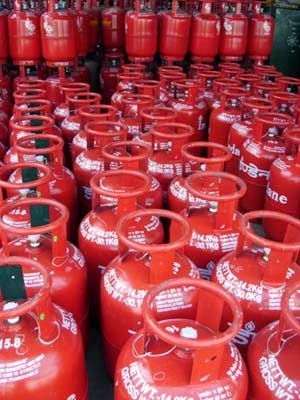 When a counsumer books an LPG refill, the subsidy amount will be credited to consumers' bank account before the Cylinder reaches your home. Consumer should pay the market price. Example: If the market price of Gas cylinder is Rs 900/-, After you book for a refill and before it reaches your home, you bank account will be credited with Rs 500/- which is the subsidy amount. In the voucher it will be Rs 900/-, So you have to Rs 900/- which is the Market price of the cylinder. In November 2014,the Modi lead BJP government has mad an amendment in the DBTL scheme which entitles the people who don't have an aadhar card or those who have not linked aadhar to their bank accounts to receive the subsidy. However, as and when they get Aadhaar they should move to Aadhaar based cash transfer. Those who don’t have Aadhaar number, they need to give their bank account details to their gas distributor. The customers who have already given Aadhaar number to the LPG distributor but not to the bank are required to link their Aadhaar numbers with their banks immediately. The consumers who have not given their Aadhaar number to LPG distributor or to banks must give their Aadhaar number to both. Consumers who had joined the scheme earlier and had received cash subsidy in their bank accounts do not need to do anything more. They can confirm this by checking their CTC (cash transfer compliant) status on www.MyLPG.in. How to Join DBTL using Aadhaar Number? Fill the form and submit to your bank branch. Submit the dully filled Aadhar LPG linking form to your LPG distributor. How to check aadhar card - bank account linking status? Next screen will show the status of your request. Direct Benefit Transfer Scheme was introduced by Government of India during Januvary 2013 to credit benefits like scholarships, pensions and other govt subsidies to a citizen's Aadhar linked bank account. By this scheme government aims to control corruption or leakage of funds.